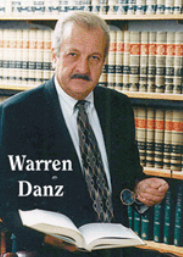 Newsletter - Law Offices of Warren Danz, P.C. Our firm has concentrated in Worker’s Compensation for over forty years. We have proudly represented thousands of injured workers, and have paved the way for Worker’s Compensation rights. In the course of our practice we have been instrumental in the development of the current Worker’s Compensation Law. We have taught the business to numerous attorneys and support groups. Illinois Worker’s Compensation is a system of benefits to award injured workers who have job related injuries or occupational diseases. The Illinois Worker’s Compensation Commission main office is located in Chicago, IL at the State of Illinois building at 100 W. Randolph St., Suite 8-200. Currently, there are only nineteen arbitrators in Illinois that handle approximately sixty to sixty-five thousand new cases per year. In addition, there are six commissioners who act as appeal judges. All cases heard before arbitrators can be appealed to the commissioners. In addition, the cases can also be appealed to the circuit court and the appellate court in the state of Illinois. Can You Be Fired for Being Injured or Filing a Worker’s Comp. Claim? Absolutely Not! If you’ve filed a worker’s compensation claim, it is illegal for your employer to fire you or retaliate against you in any way. Worker’s Compensation is your right as an employee and it is your entitlement when you get hurt on the job. Specifically, that means that it is against the law for the employer to harass, discharge, refuse to hire, or in any way discriminate against you under the Worker’s Compensation or Occupational Disease Acts. Such conduct by the employer may give rise to a right to file a separate suit for damages in the Circuit Court, which can amount up to over $100,000.00 in damages. Likewise, if you’re medically off work per your doctor’s orders or you’re off work because your doctor has you on light duty and there is no light duty work for you, your employer still has no right to fire you and it is illegal for them to do so. On the most recent case law of (DATE) that was just entered by Illinois courts, the court found that where an employer terminated an injured worker, because they sent him to a company doctor, who released him, but the treating doctor did not release him, the court then ruled that the company cannot discharge the employee if he does not return to work. The injured Illinois worker is entitled to temporary total compensation in the amount of 2/3 of their average weekly wage. That wage can be determined by the year’s pervious salary. This wage includes mandatory overtime. An injured worker is entitled to 2/3 of their benefits paid weekly until they are released to some type of gainful work. There is a three-day waiting period before a worker is entitled to benefits; this is usually covered by most companies and many union contracts. An injured worker has to be off work for 14 days before the yare entitled to payment for the first three days they were off. Days of workers’ compensation go consecutively, regardless of holidays or weekends. Every seven days represents one week. There is no time limit on the period you can draw temporary total disability benefits. The employer is required to pay 100% of all related medical bills to either cure or relieve the symptoms of the injury. A recent new law in Illinois prevents medical providers to make any claim or sue injured workers until their case has been either settled or heard by the commission. Thirdly, if the employer does not pay medical bills in a timely manner, the Illinois Commission has imposed 50% penalties on unpaid medical bills where there is not just cause. Illinois Worker’s Comp. requires that the employer provide either oral or written notice to the employer or some supervisor of the nature of the injury within 45 days. Many union contracts have changed this to five days or such. The company’s purpose here is to show that if an employee does not report timely, then they believe that the accident did not happen and they challenge it, which is incorrect. The bottom line is always report or fill out an incident report immediately or shortly thereafter. Worker’s Compensation is based on the salary of 2/3 of both jobs if a person has a second job and the company is aware of it or it was reported to them. Illinois Worker’s Compensation provides that an employee has only three years from the date of accident to file a claim with the Illinois Worker’s Compensation Commission, or his claim will be barred and denied. There are many further off-springs of temporary compensation, which includes maintenance to find a light job, new job, or to be retrained and given vocational rehabilitation. Also, the temporary compensation can turn into lifetime permanent disability if the person is not able to return to work and is declared totally permanently disabled for life. Do we have a final opinion from your doctor on your current disability? Do we need to consult or have the client examined by one of our numerous specialists to get a second and more comprehensive opinion? Have we carefully evaluated any unpaid bills? Have we reviewed the prospect of future medical treatment and future medical expense that may occur over a lifetime? Have we reviewed the option to keep the medical open for a lifetime, plus accept a cash settlement? Have we considered a cash settlement plus lifetime payments? Have we considered the Medicare and Social Security, and how it will effect the settlement? Have we considered any of the pension rights and disability pensions and how they will affect or interplay with the settlement? Have we considered the settlement and its effect not only currently, but in the future, on the earning capacity? Have we reviewed the prospect for re-education or vocational rehabilitation? Have we carefully examined prior results to determine the value of trial based on our prior experience?